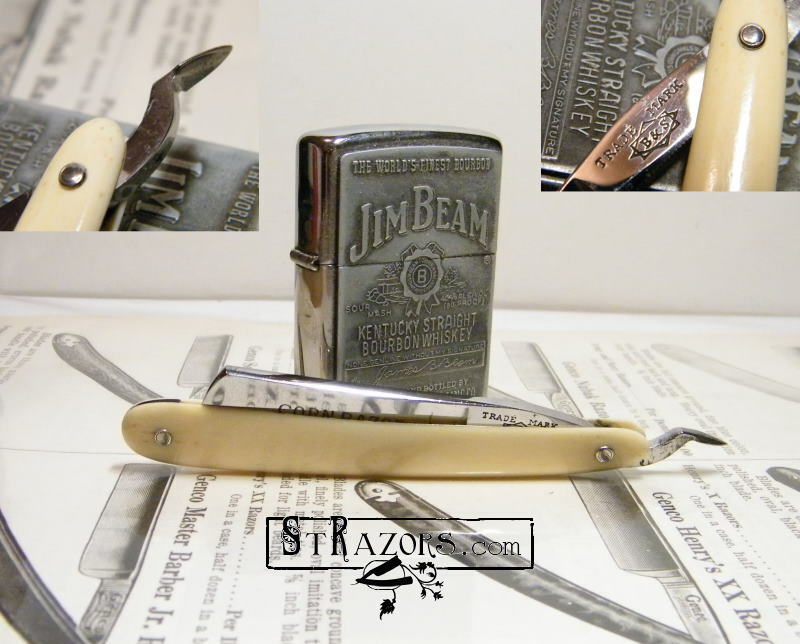 STRAZORS.com - all about classic razors - Corn Razor. "During the late 1800's cutlery firms manufactured a uniquely styled razor. 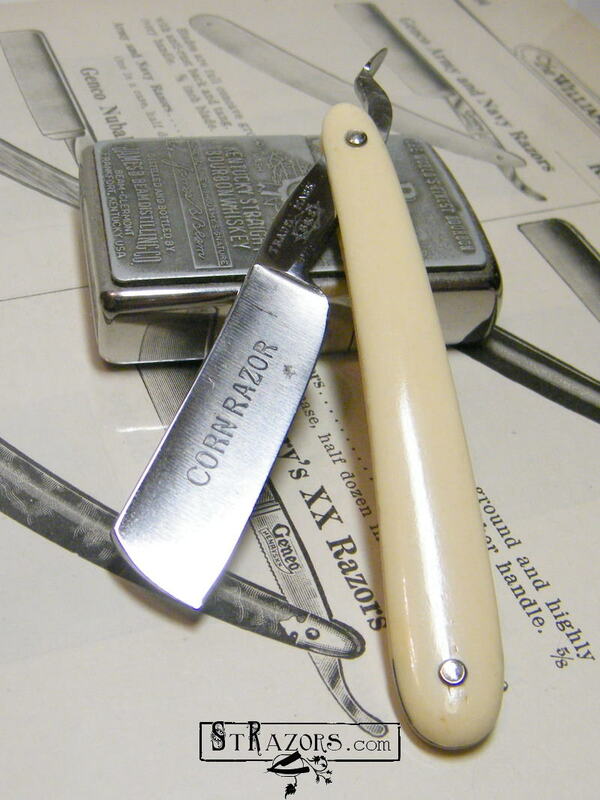 The razor was much smaller than an average razor, and was produced to serve a purpose other than shaving. The style was called "Corn Razor", and was used to remove corns from the feet. 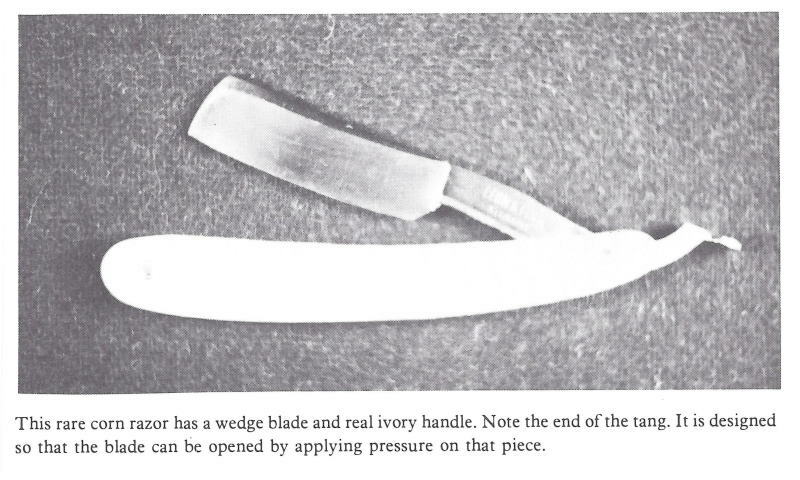 The razor measured approximately 4" when closed. Corn razors came with many different handle designs." This razor was made by Böntgen & Sabin, Solingen.